One glimpse of true humanity can restore your faith in humanity, this is the power of true humanity. One of such example is set by a small Pakistani hotel. 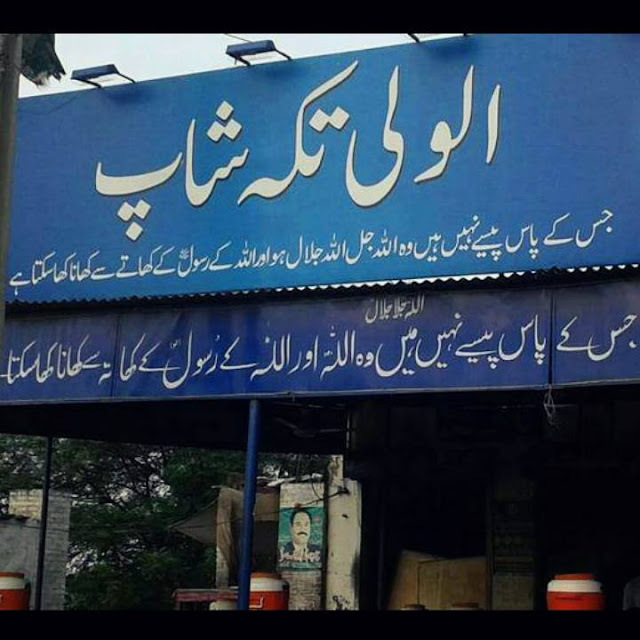 Alwali Tikka Shop is a small Pakistani restaurant that offers free food to people who can not afford a meal. Mohammad Shareef, owner of this restaurant said he wants to serve the needy and poor with what he has. 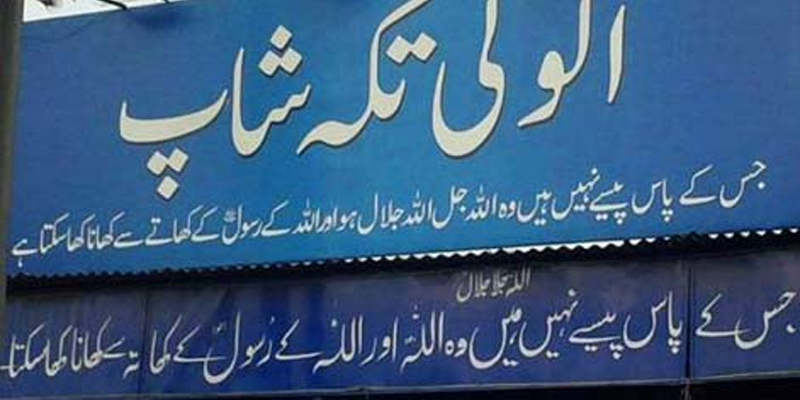 The signboard of this hotel states that you are welcome to eat on account of Prophet and Almighty in case you do not have money to buy food. You might have seen other stories covered by us that are so warm that it melt your heart. Such efforts by common people restores faith in mankind and are the reason to have believe in humanity.